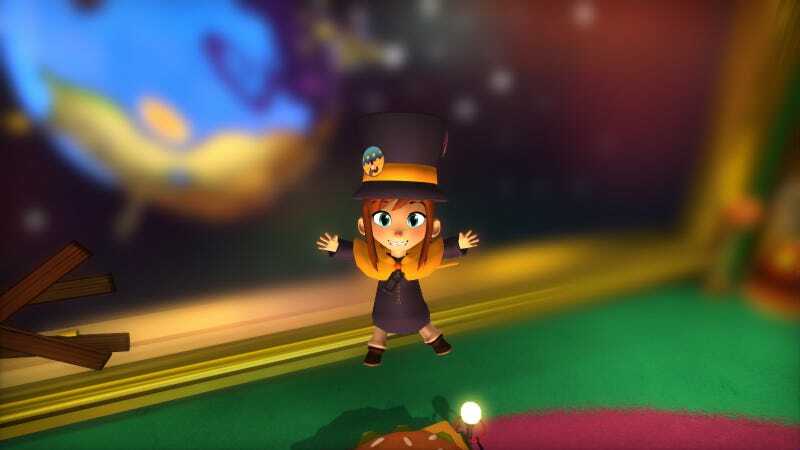 When not continuing my warpath through Mordor, I’ve been playing a game that’s the complete tonal opposite of Shadow Of War: A Hat In Time. Only available on PC for now, it was sold on Kickstarter as a “cute-as-heck 3-D platformer,” and it certainly lives up to the billing. This is a throwback to games like Super Mario 64, where you’re thrown into little worlds in search of magical doohickeys (in this case it’s hourglasses) and collect lots of other stuff—but not too much stuff—along the way as you jump, fight, and solve puzzles. It’s innocuous and simple, but there’s a relentlessly charming off-kilter personality driving it. Super Metroid does a lot of things right—its music, world design, narrative audacity, weird voice-acting, and genuine sense of mystery have all been puzzled over and relished for decades. But it makes one particularly daring decision early on it when it sends the player on a minutes-long descent to start the game. This is after the more scripted opening scene that climaxes with your timed escape from an exploding space station. You’re finally set loose on the planet Zebes, your spaceship idling in the rain, and you’re suddenly overcome with a sense of freedom. A whole damn planet! Yours for the taking! Only, that’s not quite the case, you realize. Head to the right and you’ll find a brick wall; head to the left and you’ll see tantalizing hints at other pathways that you can’t quite explore yet. So you keep going down the only path you can, eventually leading all the way to the bottom of a huge chasm. Get there and you’ll find a door on the floor, which opens up into yet another huge chasm—which you again drop down. Once there, you head through a door, only to find a goddamn elevator to take you down even farther. There, you’ll finally get your morph ball, and the game begins in earnest.